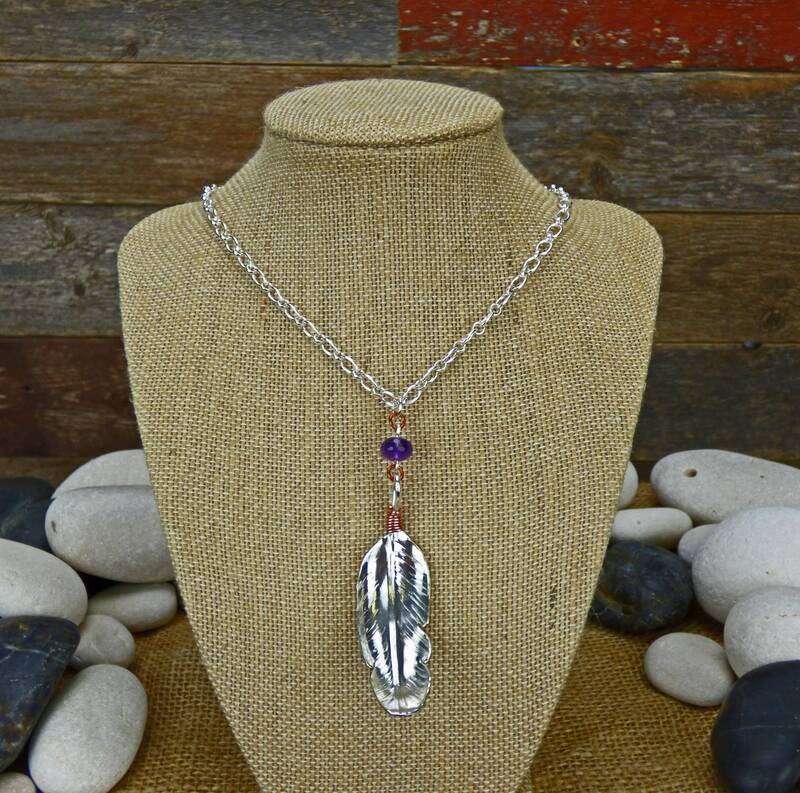 This gorgeous feather is textured and shaped to capture light at a variety of angles, wrapped around the bail with copper to accent the piece, and topped off with Amethyst to add a little color. 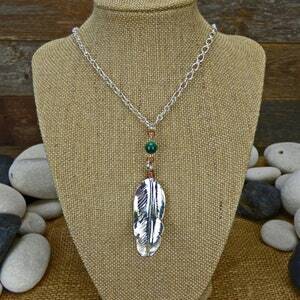 E-Coated Feather: The feather has been e-coated (very similar to the process used for plating white gold with rhodium) with a "nano ceramic" anti-tarnish coating. 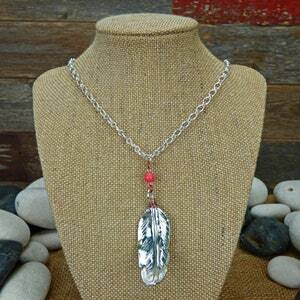 The tiny ceramic particles adhere to the surface of the copper and silver and create a protective layer that is more durable and has a more natural metallic feel than lacquer coatings. 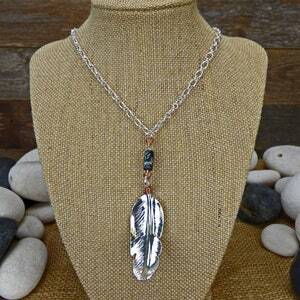 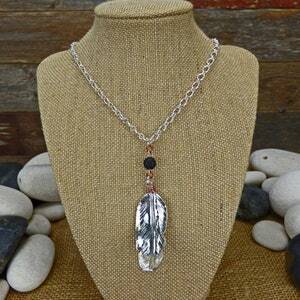 Don't forget to check the rest of my shop for more Native Necklaces, Native Feather Earrings, Silver Feather Earrings, Boho Earrings, Leather Tassel Earrings, Boho Jewelry, Chainmail Jewelry, Christian Jewelry, Victorian Necklaces, Renaissance Jewelry, Silver Jewelry, Copper Jewelry, Hand hammered Copper Bowls, and more!